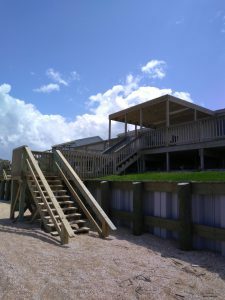 Dotson Development is a licensed general contractor based in St. Augustine and serving all of Northeast Florida. We bring over 30 years experience in contracting with extensive knowledge of the construction code. Our extensive knowledge of the area coupled with great relationships allows us to deliver quality projects on time and on budget. We pride ourselves on complete transparency, ensuring our clients know where every dollar they spend is going. Are you in need of a general contractor in St. Augustine, Jacksonville, Ponte Vedra, Palm Coast, Flagler or the surrounding areas? Get in touch with us today and let’s discuss your project!